The founding members are: Felix Majani and Michele Colucci. The journal is proud to announce the Bulletin 3/2017! 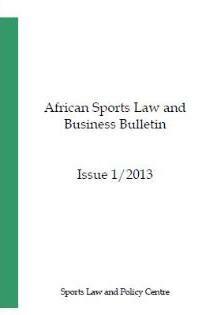 Application of International Migrant Workers’ Protection Instruments; the Curious Case of Migrant Athletes. 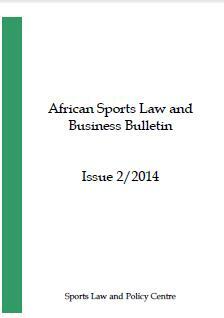 Athlete Whereabouts in the context of the fight against doping in Africa; Mission: Impossible? by Kelvin C. Omuojine, Esq. 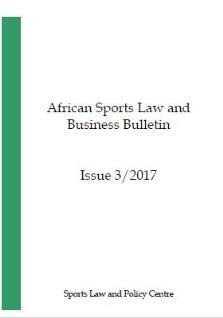 CLUB LICENCING IN AFRICAN FOOTBALL – ARE WE THERE YET? DOPING, ARE THERE ONLY A FEW GOOD APPLES IN THE BARREL? MAJOR SPORTS EVENTS: HOW TO PREVENT AMBUSH MARKETING?